We got our first bit of "press" today, in a fantastic article written by Rob O'Flanagan, a great, great writer who reports for The Guelph Mercury. The concept of "Jon D'Eaux and the Sibling Rivals" is designed to just be fun, but there is a real person behind it all, and this article is the "big reveal". Sorry to disappoint you... it ain't Dave Grohl (though I can still pretend). Rob O'Flanagan's full Mercury article is here. March 28th, 2014: "If It's Too Loud, You're Too Old" is now available for sale at legendary Guelph retailer The Bookshelf. We are absolutely ecstatic to share the news that the new Jon D'Eaux and the Sibling Rivals album "If It's Too Loud, You're Too Old" is now available for sale at The Bookshelf in downtown Guelph. 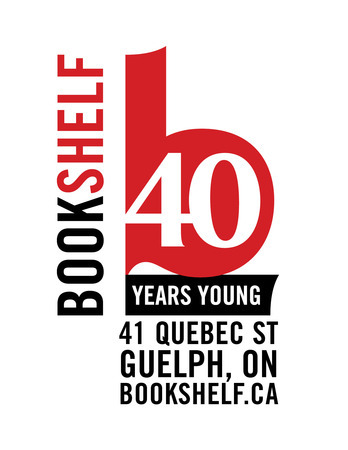 Rumour has it that Jon used to work at The Bookshelf almost 25 years ago, so it is extremely cool to be involved once again with this iconic Guelph retailer. Guelph, Ontario [March 25, 2014] – After months of recording full band versions of ten original songs written by his three children under seven, Jonathan D’Eaux has encountered a problem common to many independent musicians: he can’t get the albums out the door. The album – called If It’s Too Loud, You’re Too Old –is a collaboration between D’Eaux and his three children, ages two, five and seven. The kids came up with melodies and words for most of the songs, and D’Eaux strummed along on his guitar and fleshed each song out. D’Eaux (not his real name) has published the album under the stage name, Jon D’Eaux and the Sibling Rivals. March 11th, 2014: "If It's Too Loud, You're Too Old" is now available on iTunes, anywhere in the world. March 1st, 2014: The Indiegogo campaign is over! I must admit, even though it achieved 50% of the goal, I'm still thrilled. I had assumed - falsely - that I'd attract a few big spenders with the various "perks" (executive producer credits, original songs), but I overestimated the generosity of my friends. Whatever - one of the problems with being anonymous is that it's tough to give the proper people credit for their support, so I get it. I am so glad that a number of people bought the CD in advance, and it's now ready for sale to the rest of the world! Feb 26-2014: Where to start?? What a few weeks... it's quite the whirlwind to get an album launched alongside school dropoffs, meal preparation, bedtimes, not to mention the nuisance of a day job. But, it's done. The songs are professionally mastered, the artwork is approved, and the album is off to manufacturing. Not only will it be ready prior to the March 14th date (there, I just totally stirred up Murphy's Law), but the songs are available RIGHT NOW for purchase as digital downloads - that can be done right here. The Indiegogo campaign is still running until Friday too, so if you're still interested, don't delay in being one of the first to receive a physical copy of the album! Feb 12-2014: A new video! We have a new video for "Garbage Truck" - though we fully acknowledge that most "videos" only serve to allow YouTube to play music in the background while you open other tabs. So, if you're interested in HD visuals, check it out here: https://vimeo.com/86529907. If you're doing the YouTube background thing, check it out here: http://www.youtube.com/watch?v=01gPHiV7fkg.